I’ve seen a lot of amazing things so far on my 2-year trek. 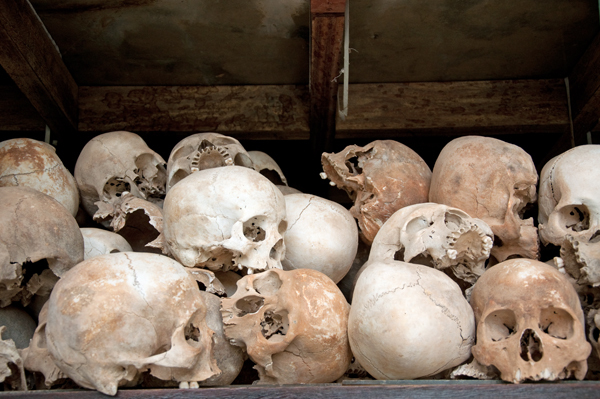 But the image that has stayed with me the most is my visit to Choeung Ek Memorial, known as Cambodia’s Killing Fields. While in Battambang, Cambodia I spent a little time doing some volunteer work for Phare Ponleu Selpak (PPS), a nonprofit organization using art to help treat children’s psycho social needs. They are best known for their traveling circus. Welcome to Lane Xang – the Land of a Million Elephants – as the Lao empire was known from 1354-1707. Unfortunately, only about 1,600 elephants remain in Laos, 560 of which are working in the logging industry.